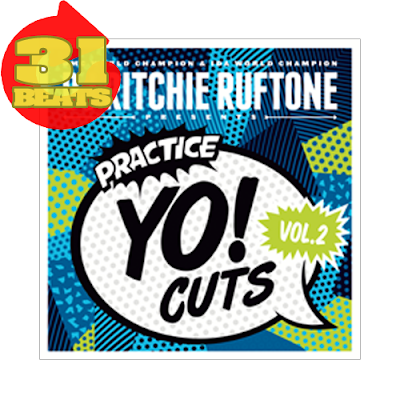 Ritchie Ruftone presents Practice Yo! Cuts Vol2. 19 beatmakers is packed in this dope looper put together by DMC champion & IDA Vice-Champion, Broke. 23 beats are featured on vol2 and 8 more exclusively on TableBeats! Download TableBeats on the App Store today and start your session! Pre-order Practice Yo! Cuts vol2 at www.RitchieRuftone.com. Shipping on 7th September! Get your scratch tools on wax and a dope Practice Yo! Cuts t-shirt.